Kandersteg ski resort lets you experience magical mountain world in picturesque and traditional Alpine village with a breathtaking scenery. This Swiss Alps resort has a relaxed and friendly atmosphere making it very popular amongst families especially during winter season. If you want to have a great start for your perfect ski holidays with your whole family at Kandersteg then we at Alps2Alps are ready to provide you with the best transfer service. The resort is easily reachable, the capital city Bern is only one hour away. 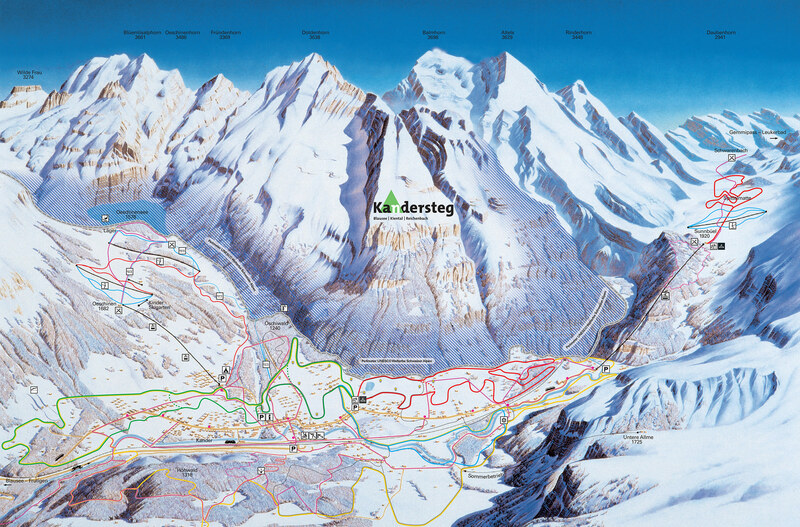 Kandersteg has been a winter resort for over 100 years, it is uncrowded with low-pressure slopes. Ski pass prices are reasonable compared to Swiss standards. International skiing and sled dog racing events are held in the resort, Kandersteg offers curling, toboggan runs and snowshoe trails.There is also an outdoor and indoor ice rink. For a bit slower pace activities you can choose one of many excursions that are offered, for example, the Kandertal walker’s paradise lies at the heart of the UNESCO World Heritage-listed Swiss Alps providing you with breathtaking views and unforgettable memories. There is a direct train to Kandersteg - the train station is in the village and there are train connections from all the biggest cities. If your transfer to Kandersteg will be in midweek (Monday-Friday), prices will be up to 60% lower than usual weekend prices! Booking your transfer during the off-season and off-peak means that you will save even more. The final transfer price to Kandersteg will be influenced by vehicle availability and vehicle utilization, schedule of transfers and other costs like road tolls and parking fees. In order to discuss any specific necessities of your trip to Kandersteg or your plans to travel as a larger group, please get in touch with us directly. Kandersteg ski resort offers over 50km of cross-country pistes for you to enjoy, as well as downhill pistes, that generally suits better for beginners and intermediates. The night trail is illuminated until late evening. The relaxed atmosphere is one of the main reasons why Kandersteg usually is characterized as family-friendly ski resort. There are special ski lift pass discounts for youth and families, local ski school is always welcoming the young generation starting from age of four. Babysitting is also available, but it is quite expensive. Also, there are quite a lot of activities apart from skiing, for example, there is indoor and outdoor ice skating rink. 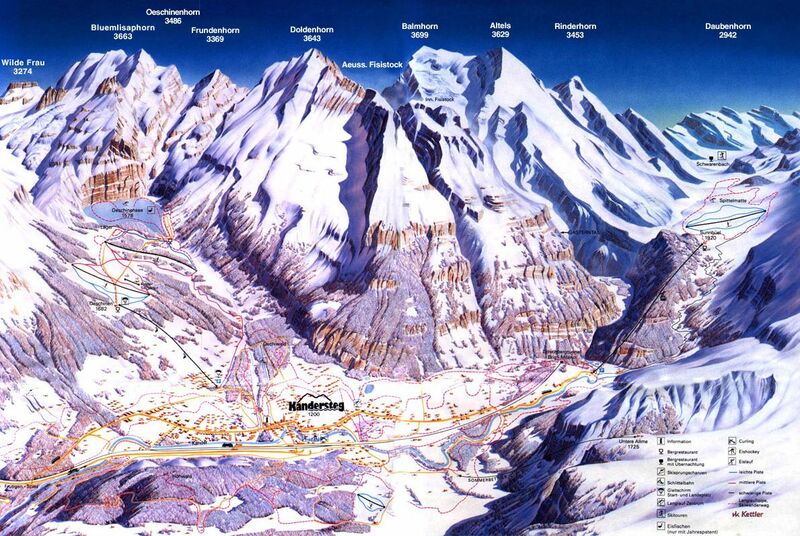 Kandersteg ski resort is a great place for your ski holidays. We recommend booking your transfer in advance to get the best possible deal. Write us or call us at Alps2Alps and let us know your travel plans - we will be more than happy to help to create a life-changing ski holiday experience!